1943: Italy:	During World War II, Sicily was the scene of heavy fighting. The Allies launched an invasion from North African bases on July 9-10, 1943. Patton landed forces at Licata and Gela and Montgomery landed at several places south of Syracuse. By the end of the year, the Fascists (those who supported Mussolini between 1922-1943) were overthrown and Italy joined the Allies. The Nazis still held central and northern Italy. Sicily becomes one of five autonomous regions (1946). A new constitution adopted in 1947. 25 camps in 1948, some listed here. If you have any camps or information to add, e-mail me. Barletta near Trani - See Bari archives above. I am trying to find out a missing piece of my history. 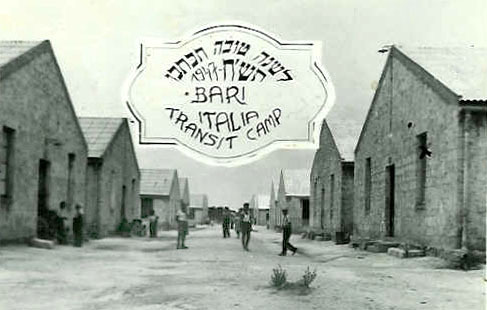 My family and I were housed in 2 DP Camps in Italy after WW2. My father was Hungarian and my mother Bulgarian, and I was born in Bulgaria in 1939. We had to leave Bulgaria at the end of the war, and ended in Italy, under the auspices of IRO, the International Refugee Organization, which was named UNRRA before that....We stayed at Cinecitta DP Camp, then were sent to Bagnioli DP Camp, from there we were sent to a camp in Germany, the name of which I am trying to find out. was one of the largest DP camps in Northern Italy and house 1,000 - 1,200 refugees in 1945-7. It closed in 1947. DPs lived in a schoolhouse. I finally got my father to write a bit about his life. He mentioned that he spent some time in a refugee camp in Cremona Italy in the later stages of 1957. I came across your site but could not find any info on that camp. He is Croatian and he escaped from Yugoslavia to Ancona (Italy) before being transferred to Cremona. Do you have any info on that camp in Cremona? Book: Christ Stopped at Eboli (Italian: Cristo si e fermato a Eboli) is a memoir by Carlo Levi, published in 1945, giving an account of his exile from 1935-1936 to Grassano and Aliano, remote towns in southern Italy, in the region of Lucania which is known today as Basilicata. In the book he gives Aliano the invented name 'Gagliano'. There is a new book with lots of information about the DP camp of Eboli, Italy 1945 -1947. Although it was publlshed in Australia, payment via paypal and transport was no problem. Really a recommandation. There also is a list with the names of all the people who died in the camp. My grandmother is on there, too. Also titled: Eboli Logor 1945-1947 =? Eboli Camp 1945-1947 : u fotogrijama =? a photographic history /? Nikola Lukich and Stavrophor Sasa Radoic?ic´. See Rimini (Italy page 2) for archives address. I have returned to your website again and again & my gratitude to you for all your effort. The attached photos are from a DP camp in Florence, Italy. The DP camp was called "Kibbutz Ha'Oved." The residents all Jewish Holocaust survivors so far as I know; among them my parents, who were among the Holocaust survivors from the eastern side of Poland, some times referred to as "she'e'ray ha'playtah (the remnant). In all my years of research have never succeeded in locating anyone who is familiar with this DP camp(s) in Florence. So far I have been able to determine that my parents arrived in Italy c. January, 1946. Still haven't been able to determine what route, how they got there, fleeing Ukraine. My parents' address while in this DP camp was "Delasem, via Lamamorra #36, Firenze". Their names were Leah and Pinchas Zaksusky (later - Zaks). DELASEM means "Delegation for Assistance to Hebrew Emigres" Thank you so much!! I was surfing the web and came across your website, a good one I might add! What I am mailing you about is to find out whether or not you have any information on a P.O.W. camp for Greman and Italian soldiers run by the U.S. in WW2 in Leghorn, Italy? And what the name of it was? My father PFC Clifford E. Hutchison, was stationed there from 1945 to 1946. But he cannot remember the name of the camp or the Ice Cream factory that the prisoners worked in. My father was a U.S. soldier with the 80th Quartermaster Co. that was tranferred to Italy from Africa, that guarded the prisoners at that camp. I am currently researching my family history, but l am not having much luck and have just struck your fantastic website. My wife's grandparents were born in Poland and during WW2 ended up in concentration camps, l do know that they went to Naples, Italy and boarded a ship for Australia known as the USAT "Gen.C.C.Ballou" and that the port of Disembarkation was Sydney on the 29 April 1949, and that their intended address in N.S.W was to be Bathurst. Could you please help me find some more information on this couple as we would really like to know what concentration camps they were in during the war, and where they were when they first came to Australia. I found your very valuable site dpcamps and I am searching any information about my grandfather Danilo Jaksic. He was in Italy in Eboli or Naples Camp 1944-1946. He's name is Danilo Jaksic, he is Serbian and is in 1903. (Javor, Serbia) born. I tried to contact Archives Napoli (Naples) and Red Cross Eboli in Italy but they speak fairly English. Do you have any person or email-address from Naples or Eboli archives that I can communicate with. Thank you very much! 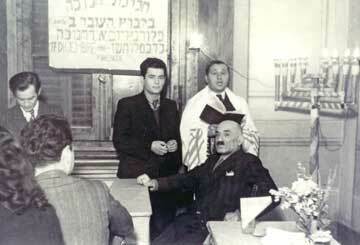 World ORT - During World War II, ORT continued to serve Jewish communities, including those under Nazi occupation. In the Warsaw Ghetto, the German authorities gave ORT permission to open vocational training courses. Those courses continued throughout the war and until the liquidation of the Ghetto. 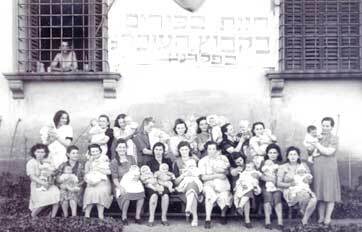 They served as a template for similar ORT programs in other Jewish centers like Lodz and Kaunas. After the end of World War II, ORT established rehabilitation programs for the survivors. The first one in Germany was started in August 1945 in the Landsberg DP camp. Vocational training centers were set up in 78 DP (Displaced Persons) Camps in Germany, and nearly 85,000 people acquired professions and the tools they would need to rebuild their lives. Jacob Olejski, a Dachau survivor who had previously organized ORT in Lithuania, was the driving force behind ORT's revival in Germany. After 1948 he organized ORT in the newly founded state of Israel. Riccione - South of Rimini. Riccione (Romagnol: Arciôn) is a comune in the Province of Rimini, Emilia-Romagna, northern Italy. As of 2007 Riccione had an estimated population of 34,868. Rimini, has its own page. Rome - Outside Rome, ORT worked primarly in two large camps- in Cinecitta and Grottaferrata. I chanced across your website while searching fruitlessly for information about my uncle and aunt Mr Josef Orbach & Mrs Mala (Malka) Orbach [nee Gishen]. Josef was a Bundist leader and I believe ran a DP camp or communa near Rome. If I’m not mistaken he told me that he had had an audience with the Pope. He was originally from Sosnowiec, Poland, but moved to Grodno where he married and had 2 children. His wife and children were killed in Grodno and he fled to the partisans. He was captured and sent to Aushwitz [I don’t know his number, but I believe he was mistaken for a Pole]. 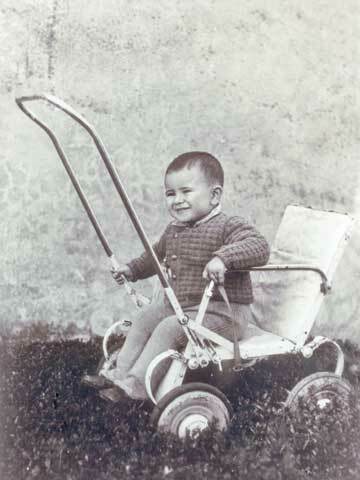 Mala was born in Vilna. I think she spent time in Kaiserwald. She didn’t go to a death camp and survived to also finish up in Italy. There I believe she was in a Zionist DP camp before she met her future husband. Any info you could help me find on their stay in Italy would be greatly appreciated.